Remove package of frozen mini phyllo shells from freezer and heat according to package directions. 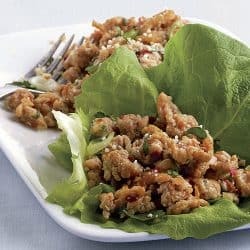 Add the following ingredients to a large mixing bowl: finely chopped chicken breast (cooked), chopped cashews, raisins, and 1-2 sliced green onions. Next, add the Greek yogurt, curry powder, and honey to the bowl. Stir until everythhing is evenly combined and coated with the yogurt mixture. 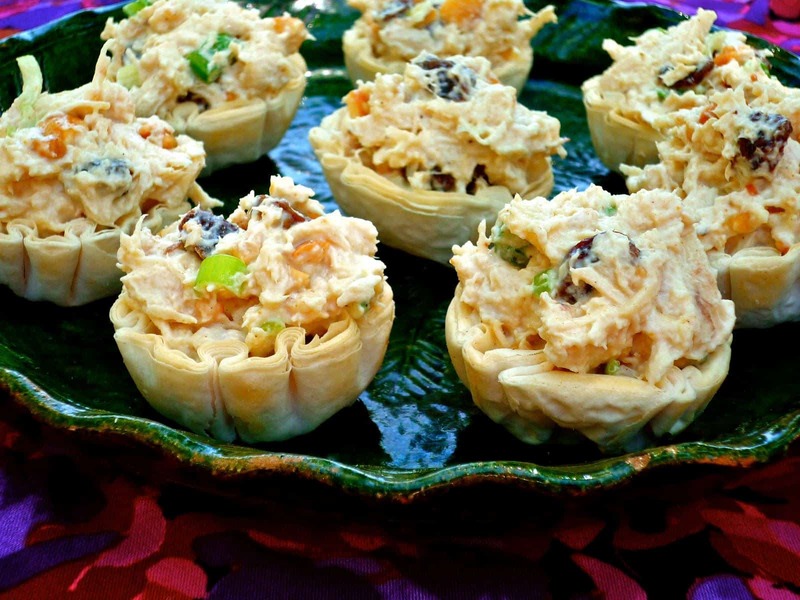 Spoon the chicken salad into each of the mini phyllo cups using a teaspoon. 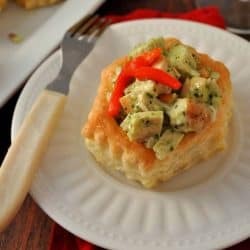 If you're not serving these bites immediately, store the chicken salad in the fridge until you are ready to serve. 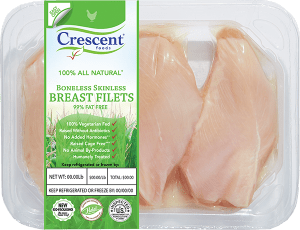 This will keep them from getting mushy.